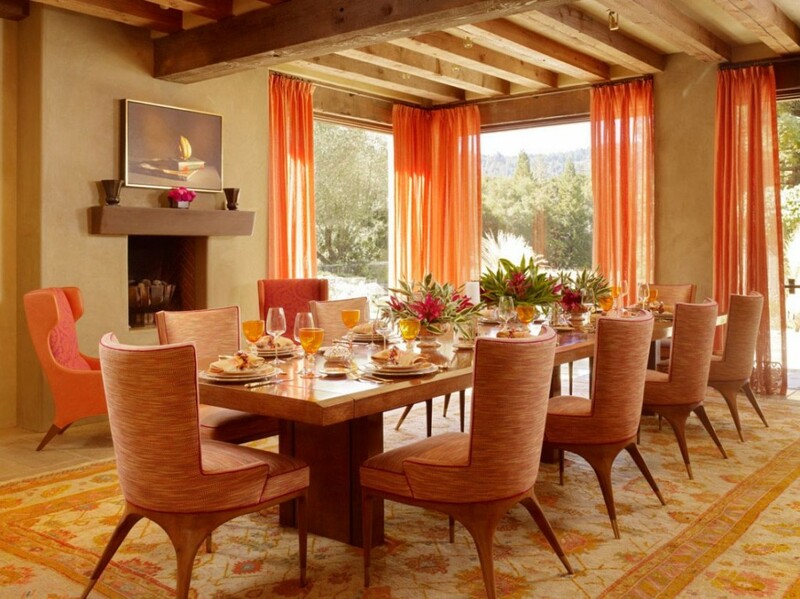 Orange is a vibrant color that brings out energy, stimulates emotion, conversation and even hunger. When I visualize orange I see nature; the sunset, flowers in bloom and turning leaves. When I taste orange, it tastes like sweet citrus or spices. It is a color that is alive, fun loving and expressive. The Color Orange is inspired by what the painter Kandinsky said when he stated that the color orange is in fact red that has been made more human by the color yellow. I do have a great love for orange. Some may even say that I am a little obsessed with it. It just makes me makes me feel so alive. While not a good idea for a living room or for bedrooms, this color is great for an exercise room. It will bring out all the emotions that you need released during your fitness routine. In ancient cultures orange was believed to heal the lungs and increase energy levels. 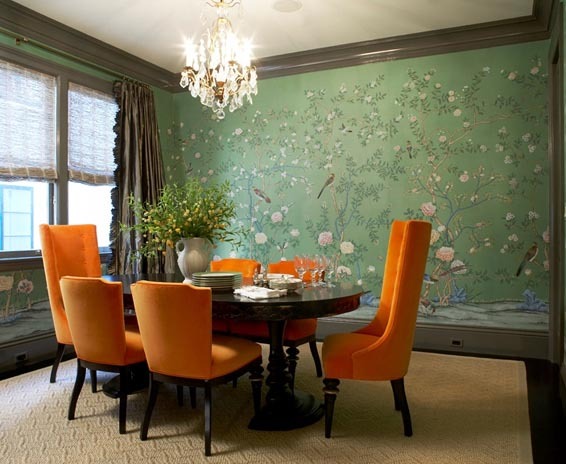 For the other rooms in the house, you will have much more success if it’s tinted, shaded or muted by adding another color. 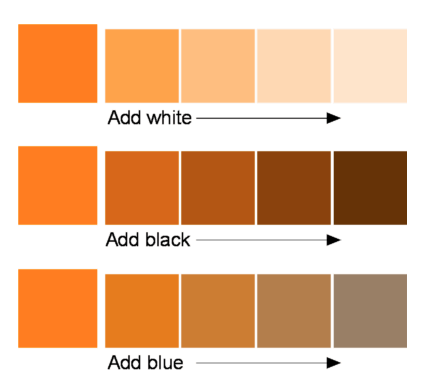 Mixing white will create orange that is in peach or pastel range. 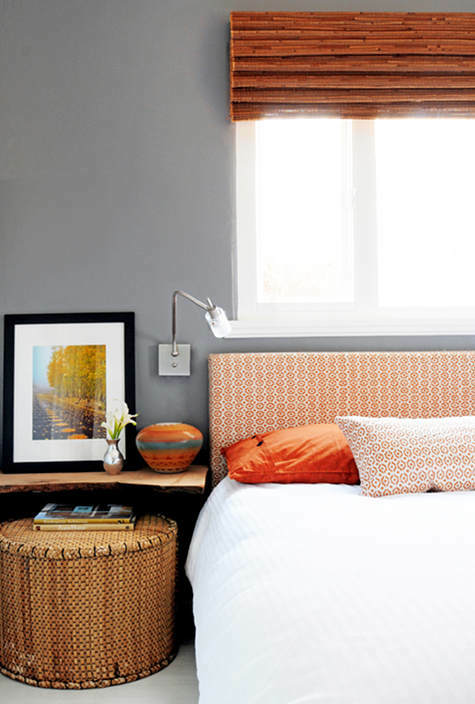 Adding black will create a rich, browner orange. 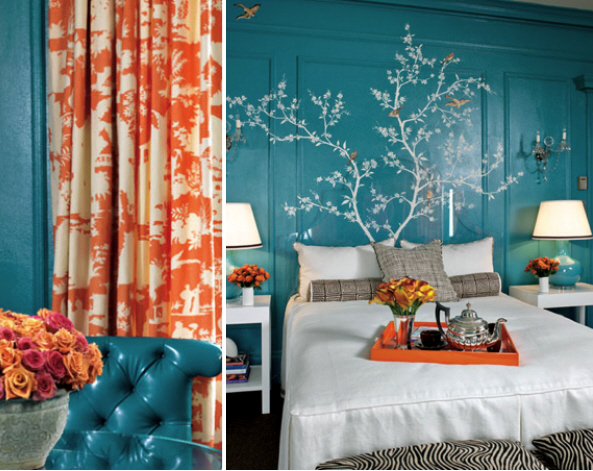 Blue, which is the complement to orange, will create shades of grey. 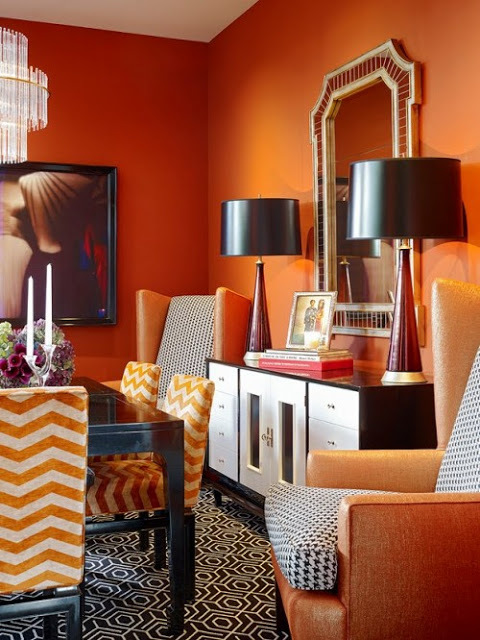 Everything about orange sizzles, so pairing it with neutrals like grey or white will cool it down. 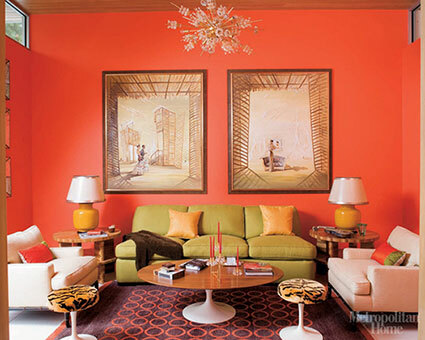 Since orange pulls from yellow and red, it will always make for a spicy color pallet. These three colors together are called analogous. Orange and green are truly harmonious. They are both citrus colors that are found in nature. Blue is the direct complement to orange on the color wheel. These two colors together are a winning combination. 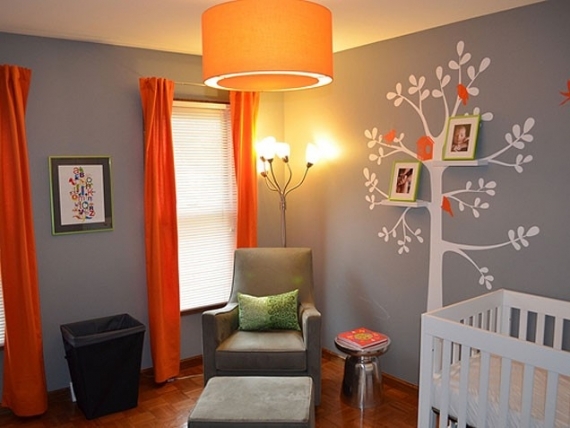 Orange is a great way to spice up any room. 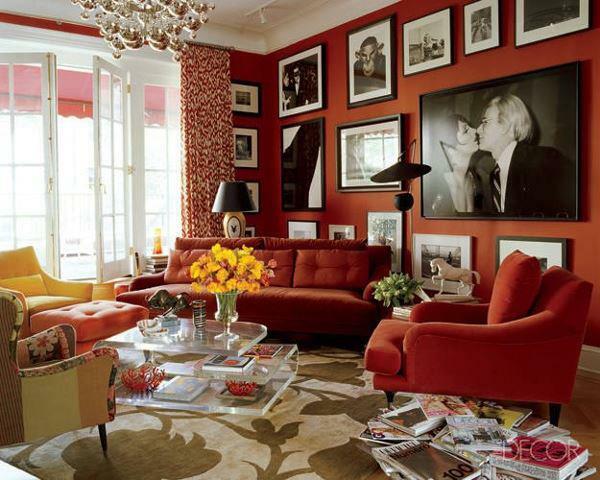 Add some excitement with bright orange throw pillows, orange pottery or some orange flowers in a vase. 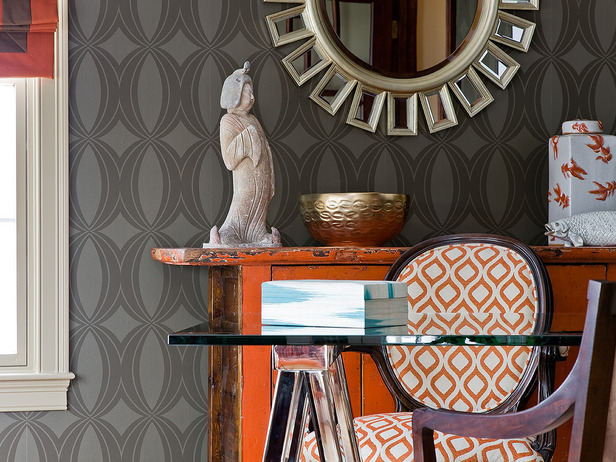 Use orange wallpaper as a feature wall, create stripes, stencil in orange, etc. 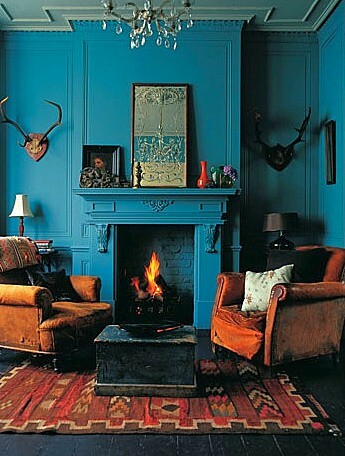 This way you can introduce bold color without feeling over powered. Maybe some of you have developed a little crush too!